Behavioral Health Services at Home Start provides individual therapy services to children under 18 years of age across San Diego County. Services may be provided in the child’s home or school as well as at various Home Start locations. These services are free of charge. Services in English and Spanish are available. Home Start therapists are trained in providing Parent-Child Interaction Therapy, Trauma Focused Cognitive Behavior Therapy and Play Therapy. PCIT is an evidence-based best practice supported by more than 30 years of research. Through an earpiece, specially trained therapists coach parents/caregivers as they interact with their child. Parents/caregivers learn relationship- enhancing skills and parenting techniques for improving their child’s behavior. 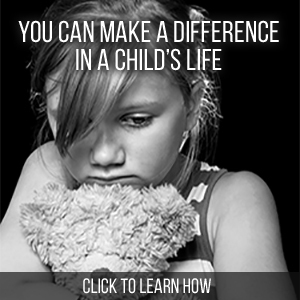 TF-CBT is an evidence-based treatment designed to help children heal from the impact of trauma. The interventions used in this treatment model teach children effective ways to respond to their thoughts and emotions related to the trauma and reduce or eliminate the potential for long-term effects. Providing parents with education regarding effects of trauma on children is an important part of treatment. Children learn, communicate and express themselves through play. Play Therapy is a therapy model that incorporates play as a way for children to communicate and express thoughts and emotions during treatment. Please contact our intake line at 619-692-0727 ext. 118 for additional information or to request services. If you are a community provider looking to make a referral to our Behavioral Health Services program, please download this referral form and fax the completed document to (619) 692-0785.